There are now only 22-weeks left until the next Local Government Elections take place on Thursday 4th May 2017. 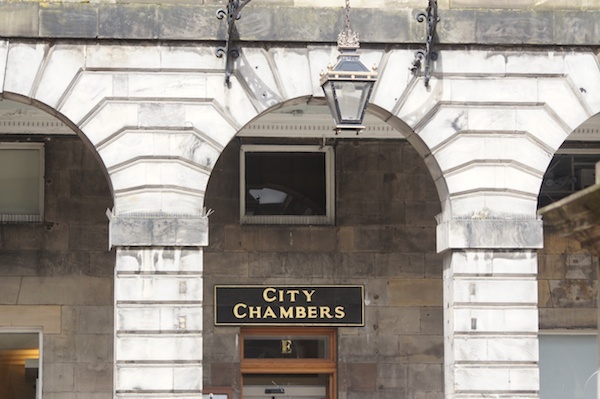 On that day next year, the residents of Edinburgh will elect City Councillors for the next five-year period. Back in late 2011, we published a ‘draft manifesto’ for the last Local Government elections, which took place in May 2012. We received over 1,000 submissions from members of the public in Edinburgh, and re-drafted our final Manifesto as a direct result of that feedback. As mentioned yesterday; we’re launching a full ‘draft manifesto’ again this year, in preparation for the next Local Government Elections in May 2017. This document represents our initial ideas, but as in 2011, we want to hear from you; and we will adjust this draft document, before launching our final Manifesto in March 2017. This is your chance to directly influence our current thinking. We’d like to know what you think of our ideas, or give us your own ideas to ensure Edinburgh remains a European City to be proud of. You can leave your feedback below or contact us via phone, email or freepost (details below). Please send us any feedback you may have by Tuesday 28 February 2017. We do hope to hear from you! 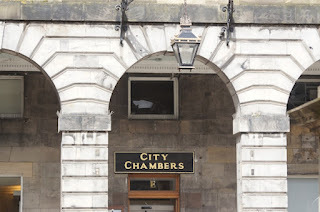 ... on that day next year, the residents of Edinburgh will elect City Councillors for the next five-year period; who will thus serve all the way through to May 2022. ... which will thereafter be publicly consulted upon, prior to our finalised Manifesto being launched in March 2017. ... and the consultation on it's contents will run until Tuesday 28th February 2017 - and we'd like to know what you think of our ideas, or do give us your own ideas, to ensure that Edinburgh remains a European City to be proud of. There's still time to play your part in our public engagementabout council services. The response so far has been really encouraging and I would like to thank the 2,000 of you who have already taken the time to have your say. We're keen to hear as many views as possible and have extended our deadline until Monday, 21 November. Last week, attention turned to our Question Time event, giving members of the public the opportunity to quiz our panel of senior councillors (including myself!) on the council services that mattered to them. It was a lively debate, with the Chair, Evening News deputy editor Euan McGrory, taking contributions from the floor and from those watching at home. Around 80 people attended and several hundred more tuned in live to the webcast. If you didn't catch the event, remember you can still watch it onlineon our archive. Please take the time to have your say, if you haven't already, as we will consider all feedback prior to setting the final budget on 9 February 2017. I'm delighted that our proposals for a new Queensferry High School have moved a step closer to fruition. The feasibility study has been completed and we are now looking to work with our development partner on the future plans for a replacement school for the 1,200 pupils. This will be the latest in a long list of high quality education facilities being provided in the city, with the new Portobello High School having opened its doors for the first time to pupils last month, a day after James Gillespie's High School was officially opened. We will of course keep staff, parents and the local community fully updated as plans for the new Queensferry High School progress. The New Waverley development, on our very doorstep on East Market Street, is now well underway - creating a noticeable buzz in a previously disused part of the Old Town. In order to make the area more attractive during the construction period, the New Waverley Community Fund was set up and, earlier this week, the second phase of funding of £100,000 was announced. Projects include much-needed improvements to Jacob's Ladder, making the steps between Calton Road and Regent Road more useable outside daylight hours and generally safer and more pleasant. Others include lighting up 'The Arches', art installations and a graveyard planting scheme. The area was given a significant facelift using the first phase of funding (over £80,000) last autumn with projects ranging from community gardens to festival lighting for the Canongate. So, Edinburgh has received yet another accolade, this time having been voted the Best European City for Technology to locate in 2016. It is well deserved confirmation that this sector is buzzing in the Capital and I'm told that we saw off strong competition from Amsterdam, London and Barcelona in receiving votes from the readers of European Business Magazine. Our tech sector has grown rapidly over the last 10 years with major tech companies such as Amazon and Microsoft making the city their home. We also have our own hugely successful home grown companies, such as our two 'unicorns' Skyscanner and FanDuel. Codebase, the UK's largest tech incubator also houses over 80 tech companies in Edinburgh and offers co-working space to start up businesses. Christmas is fast approaching and plans are now well under way for our world-famous Winter Festivals. No other city compares to Edinburgh during this time of year and the Christmas and Hogmanay festivities remain a huge draw for visitors from all over the world. Edinburgh's Christmas will kick off this weekend with 'Light Night' on Sunday, 20 November. When the button is pressed by Olympic cycling hero, Callum Skinner, 3,000 lights which decorate the 18m Mound Christmas tree and more than 60,000 lights stretching across George Street for the 'Street of Light' will create Edinburgh's trademark Christmas glow. After glistening for Christmas, the city will play host to three days of Hogmanay celebrations. The Concert in the Gardens, set in the Ross Bandstand against the backdrop of Edinburgh Castle, is already a sell-out with Paolo Nutini headlining. But there are plenty of other ways to join in from the Street Party to the Torchlight Procession. Find out more at Edinburgh's Christmas and Edinburgh's Hogmanay. Winter is upon us and, whether it's a chilly one or not, it's good to know we're well prepared for whatever the weather has in store. Our salt supplies are stockpiled, gritting lorries have been serviced and staff are trained up and ready to go. We're already monitoring road and pavement conditions 24/7 with gritters on standby and continuing to top up salt bins across the city where necessary. What's more, we're using leaflets, posters, social media and live winter weather web pages to keep people up-to-date and help them get ready for winter too. Fortunately, it's been a few years since the last time we had really severe winter weather here in Edinburgh, but I would still encourage everyone to ensure they're well prepared by picking up a Ready for Winter leaflet or reading the information on our web pages. One of the most prestigious conferences in Europe, EUROCITIES, is to be held at the EICC in Edinburgh in 2018. The announcement was made this morning at this year’s conference and AGM being hosted in Milan. EUROCITIES is the network and platform for Europe’s Mayors and Political Leaders to address key urban challenges faced by cities in Europe. Edinburgh has been a member since 1991. This annual high profile event is usually attended by around 400-500 delegates including representatives from city authorities. Cllr Gavin Barrie, Economy Convener, the City of Edinburgh Council, said: “It is a great honour for Edinburgh to be chosen to host this prestigious event in 2018 and it will be a tremendous boost to the city’s economy, particularly for the EICC. It will be a valuable opportunity to welcome cities from across Europe to Edinburgh to showcase and share know-how, expertise and ideas with our EUROCITIES colleagues. “It is the cities of Europe that will drive sustainable growth, jobs and innovation in the future. 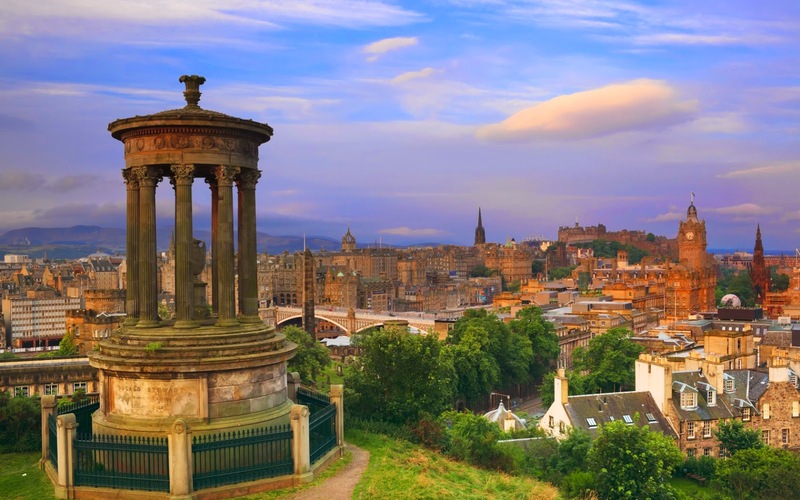 Edinburgh is a vibrant capital city with a long history of strong international and European connections, having played a key role in the intellectual, scientific and cultural development of Europe. John Donnelly, Chief Executive of Marketing Edinburgh, said: “Strong leadership and collaboration with our European city partners is integral to Edinburgh’s ongoing success and appeal as one of the best places in the world to live, work, invest, visit and study. Marshall Dallas, Chief Executive of the Edinburgh International Conference Centre (EICC), said: "Edinburgh has been one of Europe's great cities for centuries, the so-called Athens of the North, with flourishing universities, modern industries, a vibrant cultural scene and a strong emotional connection to the continent so it is fitting that EUROCITIES will be taking place here for the first time. Edinburgh, like Scotland as a whole, is a very welcoming place and we are hugely looking forward to hosting delegates from almost every corner of Europe at our world-class venue in 2018." The conference has been provisionally booked with the EICC for 28 – 30 November. Established in 1986, EUROCITIES is the major network of European cities, bringing together the local governments of over 130 of Europe’s largest cities and 40 partner cities that between them govern some 130 million citizens across 39 countries. "The Big Look Back - The Big Look Forward"
... it’s really great to see so many people here this morning; at this “Big Look Back – Big Look Forward’ event, which is bringing together individuals and organisations from all over the Capital (and beyond) to mark the achievements – and challenges – of the last 5-years of the Cooperative Capital Project. ... some of you will know that we’ve organised an Annual Event – similar to this – every year since the 2012 Local Government elections. I think that’s one great indicator of the positive change over the last 5-years. And Nick – can I quickly say thanks to all those who have helped organise today’s event, specifically Graeme McKechnie who is recovering well, at home, from a recent operation – I know that Graeme sends his best regards to all attendees today. ... there’s just no doubt that the vote for BREXIT, here in the UK back in June – and to some similar extent – the vote for President-elect Trump earlier this week – have been the result of the alienation that many people do feel about mainstream politics. Personally, I think it would be a foolish ‘mainstream politician’ who denied there was such a link – particularly when you consider that the political-stakes may be about to become even higher as we approach both the French Presidential Election, and German Federal Election, next year. And I do believe that there is an element of people being completely fed up of things being done ‘to them’ in both recent referendum/election results in both the UK and the USA ... and it could continue in France and Germany next year. 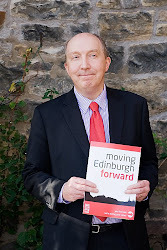 And it was very clear to me - when we formed our local Labour/SNP coalition administration in Edinburgh, following the May 2012 Scottish Council Elections, that business as usual wasn’t an option; we had to change the way we did things. As an incoming Council Leader, I knew there was no time to waste in ensuring that we had a clear, unambiguous programme for governance … and thus the best chance of keeping our local arrangements fresh, and lively, for the whole of the forthcoming electoral term. And as a Council Leader, a ward councillor, and a member of my local community, I do understand the scale of the challenges that we are all facing locally. Many communities are disengaged from local democracy; councils can seem like distant bureaucracies; and, as organisations, we struggle to manage significant funding reductions just as local people are putting more and more demand on local services. If councils are going to survive in this context, and if communities are going to thrive, then we all need to start doing things differently. We need to work together, in genuine and equal partnership with local people, to make the most of the strengths that lie in our communities. Most importantly, we must drive real innovation, with local people at its core, if we are to face the challenges ahead of us. Thus - following the elections in 2012, the Council’s Capital Coalition set out a clear vision to become a Cooperative Capital, where public services work better together, and where communities have more influence over the services they use. We did pledge to be a Council that does things ‘with people’ rather than ‘to people’. And today – looking back over the last 5-years, and forward to the next ... I’m not for one second going to claim that EVRYTHING has gone perfectly smoothly ... of course it hasn’t: mistakes have undoubtedly been made, and things have undoubtedly gone wrong. BUT – overall – I genuinely believe there is a VERY POSITIVE story to tell about the Cooperative Journey that Edinburgh Council and our partners have gone through in the last few years. ... and there will be a final Annual Report – of this Council Term – that will likewise go to Full Council early in the New Year. 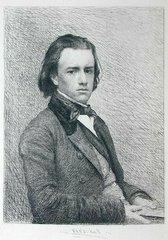 - a concrete example of this can be seen in talks between the Council, Castle Rock Edinvar and students from the University of Edinburgh, which led to the Capital’s first student housing co-operative, which offers quality and affordable accommodation. The students initially approached the Council to talk about their ideas as they knew that we were keen to support this type of structure. - harder to deliver upon --- some element of the Coproduction of social care grants and contracts ... but still a lot of work to be done in this area. And overall, since May 2012, communities have helped to set up nearly 20 co-ops, some of which have asked for and received Council backing. This is great news for local communities because it shows that people are feeling empowered and want to have a stronger say in the services they access. 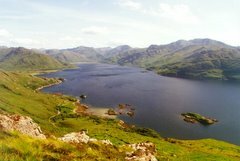 - The Council’s current budget process has also benefitted, with proposals only finalised once three months of public engagement and consultation are carried out. The cumulative impact of all these considered-changes has been fairly significant … and, I would argue, we have re-gained some degree of trust and a renewed sense of engagement with residents. … but, there is undoubtedly a long, long way to go – and continuing to deliver on both the Co-operative Content and on ‘doing politics differently’ are crucial not just for this year, but for every r year … and I know that keeping up this level of commitment will be challenging for both Elected Members and Officers. But I do firmly believe that the co-operative principles of empowerment, equal partnership, and collective action offer a positive route not simply to survive through tough times, but to enable local communities to thrive, supported by relevant and meaningful local public services. 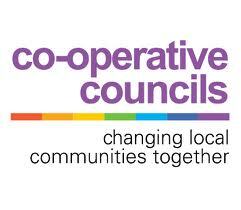 ... and we currently Chair the Cooperative Council Innovation Network (CCIN) – a collaboration between local authorities across the UK who are committed to finding better ways of working for, and with, local people for the benefit of their local community. AND MOST IMPORTANTLY working with local communities and partners – and not doing things to them.